In 1991, Concerto Amabile with soprano Nancy Zylstra gave a concert on the SFEMS series titled “Unsung Heroines,” a program of music by women: Barbara Strozzi, Isabella Leonarda, Maddalena Lombardini, Ana Bon, and Elisabeth-Claude Jacquet de la Guerre. At that time, almost 30 years ago, these composers were, if not exactly “unsung,” at least not well known, even among early music audiences. In a characteristically erudite article for the SFEMS newsletter* Amabile’s cellist, Elisabeth Le Guin, wonderfully deconstructed the concept of “women composers.” She began by critiquing the question of “why have there been no great women composers?” as “…wrongly putting the burden of genius on the individual—as if sufficient genius can be counted upon to overcome any barriers whatever to its realization.” Rather, she said, “greatness,” like masculinity or femininity, is socially constructed; social norms and institutions are what prevented women from achieving “greatness,” or perhaps better to say from having their genius recognized. Women of enormous talent had to deal with “layers upon layers of prohibitions, against women making music in church, against women’s education, against women on the stage, against women outshining men, against women putting something first other than other people, and so on.” Nevertheless, the genius of those few who did manage to navigate or overcome these obstacles, is palpable. Much has changed in the past 25 years, thanks to growing interest among scholars and performers, which has made a great deal of this music available. Indeed, significant work has been done right here in the Bay Area. Richard Savino, for instance, transcribed and published a collection of Strozzi’s cantatas; Magnificat, under the direction of Warren Stewart, recorded the complete works of 17th-c. nun Chiara Margarita Cozzolani; Vajra Voices, under Karen Clark, recently released a widely acclaimed CD of works by Hildegard of Bingen, arguably Western music’s first “great” composer. Women’s voices and strong women as artistic subjects figure prominently in this June’s Main Stage lineup, a presence that is both explicit and implicit. 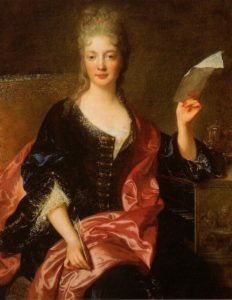 On Tuesday, June 5, students and alumni of the San Francisco Conservatory present “Two Baroque Girls,” a program devoted entirely to compositions by women during the 17th and 18th centuries. Sarah Bleile, baroque violin; Shelby Yamin, baroque violin; Eugenio Solinas, baroque cello; and Andrew Wang, harpsichord perform chamber music by, Leonarda, Lombardini, Jacquet de la Guerre, and Anna Amalia. Amalia is an interesting figure and quite important in musical history, beyond her own compositions. Like her older brother, Frederick the Great, she was a great admirer of Johann Sebastian Bach, and it is largely thanks to her love and diligence as a collector and curator that many of Bach’s manuscripts survived. The previous evening, Monday, June 4, soprano Christine Brandes and violinist Elizabeth Blumenstock, with Mary Springfels, gamba, and Katherine Heater, harpsichord, will perform a French baroque program titled “Nasty Women.” While their program will include some spectacular instrumental works of Marin Marais and Jean-Marie Leclair, its centerpiece will be two cantatas about the power of women. (What could be more timely? Brandes asks.) 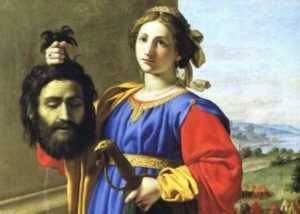 The story of Judith’s bloody triumph over Holofernes was celebrated and politicized throughout the baroque era, and Jacquet de la Guerre’s cantata is a spirited re-telling of the Biblical story. While Euripides emphasized Medea’s monstrousness, she was seen by readers from the Middle Ages to the baroque as a tragic heroine, an emblem of women’s will to avenge a grievous wrong. Clerambault’s astonishing cantata is one of the most powerful works of the age. On Thursday evening, June 7, and Saturday morning, June 9, Voices of Music and the San Francisco Girls Chorus collaborate on a concert presentation of Henry Purcell’s Dido and Aeneas. The work is Purcell’s only full opera (the others, such as The Faerie Queen and King Arthur, are masques or semi-operas, which included spoken dialogue and instrumental music). The story is based on Book IV of Virgil’s Aeneid and recounts the love of Dido, Queen of Carthage, for the Trojan hero Aeneas, and her despair when he abandons her. The libretto was written by English poet laureate Nahum Tate. Dido’s first documented performance was in 1688 at Josiah Priest’s Girls School in Chelsea, London. No musical score survives from this performance; this concert will be a recreation of what may have been heard at that time. Powerful mythic figures also are central to in Sequentia’s two concert programs, especially their second, “Monks Singing Pagans,” which takes place the afternoon of Saturday, June 9. Benjamin Bagby, voice, harps; Hanna Marti, voice, harp; Norbert Rodenkirchen, wooden and bone flutes, perform 9th-12th-century songs of heroes, gods and strong women. These were settings of ‘ancient’ texts by Roman authors, poets, dramatists, teachers, philosophers and historians, together with occasional Germanic pagan texts, that were memorized and sung. 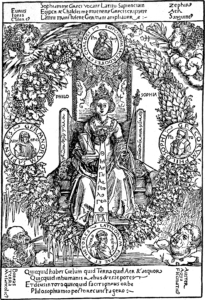 Powerful female figures were popular subjects and included both historical persons (Cleopatra, Dido), goddesses and demigods (Juno, Venus, the Valkyries), and abstract concepts or forces, represented as feminine in nature (and often so coded by gender—Fortuna, Philosophia, Natura). The survival of these songs, sometimes very fragmentary, provides us not only with a rich treasure-house of European vocal art; it offers insight into the power of the feminine in ancient and medieval thought, long before Marian cults arose. *Quoted passages from Elisabeth Le Guin, “Singing Out of the Silence,” San Francisco Bay Area Early Music News, May, 1991, p. 1 (©1991 E. Le Guin).